Before about a month ago, my knowledge and understanding of human evolution was pretty limited. 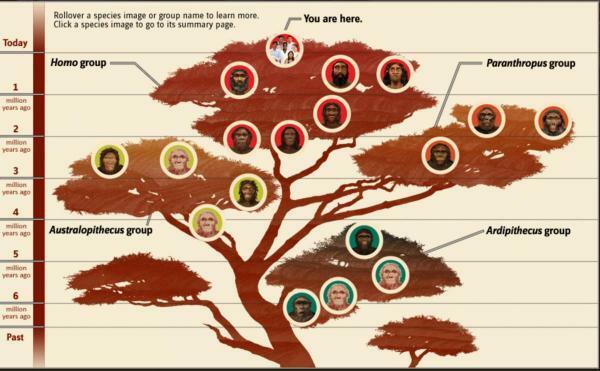 I knew the basics: lots of different hominins (species more closely related to modern humans than to modern chimps) living together in Africa, then humans (species of the genus Homo) appear. A few human species move out of Africa and spread all over the world. During that time, our species and the Neanderthals interbred a bit and swapped some genes; and then there was just us, Homo sapiens: like the cheese, we stood alone. 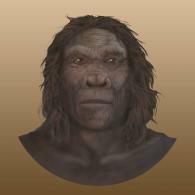 The fossil was found in 2013 in the Afar region of Ethiopia, which was also the resting place of the famous Lucy (species Australopithecus afarensis) and Ardi (Ardipithecus ramidus). Both Lucy and Ardi were remarkably informative specimens. There were 110 pieces found from Ardi, including bones from her feet, legs, arms, hands, pelvis, and skull. Lucy was not quite so complete, but there were still many bones recovered. This new fossil on the other hand? Not so much—we have just a few pieces of the lower left jaw with five embedded teeth. That’s it. So why all the hoopla? So which genus does the fossil belong to, and how do we know? Based on jaw and tooth morphology (remember, a lot of the fossil record of mammals consists of teeth), it’s clearly Homo. 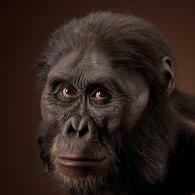 The heretofore oldest Homo fossil is that of a 2.4-million-year-old Homo habilis, which means that this single fossil extended the known range of our genus nearly a half million years. Cool? Super cool! In my post on whether evolution can stop, I encouraged teachers to bring human evolution into the classroom, since doing so can cause festering misconceptions to bubble up, thus offering marvelous teachable moments. Bringing in a new fossil discovery can not only let you talk about human evolution but also lets you talk about the excitement of ongoing discovery and how evidence is used to test ideas. 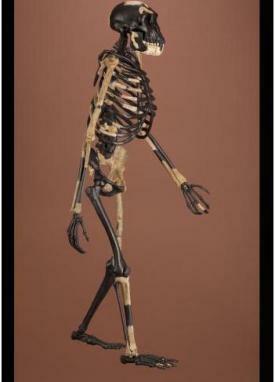 You could pose questions to students like, “What kind of fossil find would have not supported the hypothesis that Homo evolved from Australopithecus?” or “How is it that we can know so much just from a few bones?” Better yet, you can take your students on a virtual field trip to the Smithsonian’s Human Origins exhibit and explore the 3-D collection of hominid fossils, see scientific reconstructions of the different species, and view the interactive timeline. Whether or not human evolution is an explicit part of your curriculum, I guarantee that engaging your students in the topic—even just for a day or two—will deepen their, and your, understanding and appreciation of evolution and our own complex and rich prehistory.